Commonwealth Games in Glasgow will officialy get underway with a lavish opening ceremony designed to take place on 23 July 2014 at the Celtic Partk. 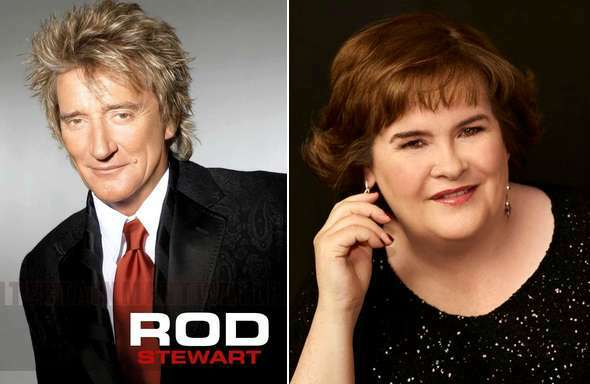 The opening Ceremony will last two hours with Rod Stewart and Susan Boyle performing in the curtain raiser. The opening ceremony will be starting at around 8:00 PM Uk time and according to reports around 1.5 billion people will be tuning in for the 2 hour show. The 40,000-seater stadium of Celtic football club will be hosting the ceremony which include whole list of performers and more than 6000 atletes from 70 countries will be present in the ceremony. Rod Stewart and Susan Boyle are the two high profile Brits to performat at the opening ceremony while there is a huge list of local scotish performers how will be potraying different cultural themed performances along with heavy firework show to official announce the start of 2014 Commonwealth Games in Glasgow. Just like the recent FIFA World Cup, BBC will be broadcasting the Commonwealth Games on BBC one and BBC three channels while if you live in United Kingdom you can also use BBC’s iPlayer to streaming the opening ceremony as well as the games throughout the 11 day period. We will be placing the full length replay video of 2 hour opening ceremony from the celtic part right here, videos should be available 1-2 hour after the ceremony is over. So check back at around midnight uk time on 23 July to get the replay action of what could be a great ceremony.